In studying the Bible, step 1 is obviously to actually crack open the Bible and start reading. Sometimes this is the hardest part, the getting started. But once I get past the initial jumping in, I want to make sure that I'm not just skimming (sometimes I am) but that I actually take time to absorb what I'm reading. In middle school/junior high, when us youth were too young for summer jobs but too old for VBS, our youth pastor ran this "Summer Program" (especially descriptive name 😉) that involved having Bible classes, service projects, and running VBS. Part of the homework for our intensive Bible classes would be to work our way through a book of the Bible, turning in "essays" on each chapter. We had to summarize the chapter and then explain what it meant to us, which got tricky when you're reading through the minor prophets and are only 12. But it was immensely beneficial because here I am at 24, still thinking through the same Bible-studying questions that have been ingrained in me. 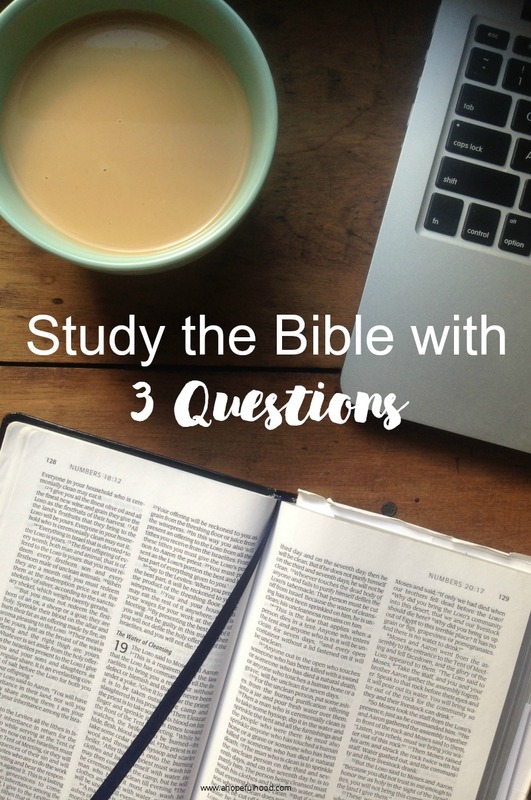 The following 3 questions are ones that have helped me break things down when I'm struggling through a passage that SEEMS (but of course isn't) mundane (like when I shared that I was reading through Leviticus) or hard to understand. This question starts to dig deeper into the passage. What's the meaning of the passage? What did it mean for the people in that time period? Why would this be important to include in the Bible? What does this passage reveal about the character of God? I can't read the Bible and walk away without some application for my life (even when reading about the process for treating a boil or removing mildew back in Moses' time...seriously, go read Leviticus!). Now that I can summarize the passage and think about what it meant for God's people back then, what am I going to do? What beliefs of mine need to change? How does this passage affect how I should live? If we're being real, sometimes I struggle to even read my Bible. Other times, I'm great at reading it but don't take the time to really get things out of it and listen to what the Spirit is saying to me. I should probably be taking notes (like I did back in those Summer Program Bible class days!) on what I'm reading and my answers to these questions, but most of the time I think through it all in my head. So really, this is a challenge to myself to think deeply and prayerfully about what I'm reading in the Bible, and to write it down so I don't walk away (like that guy who looks in a mirror and immediately forgets what he looks like...#Biblejokes 😉). 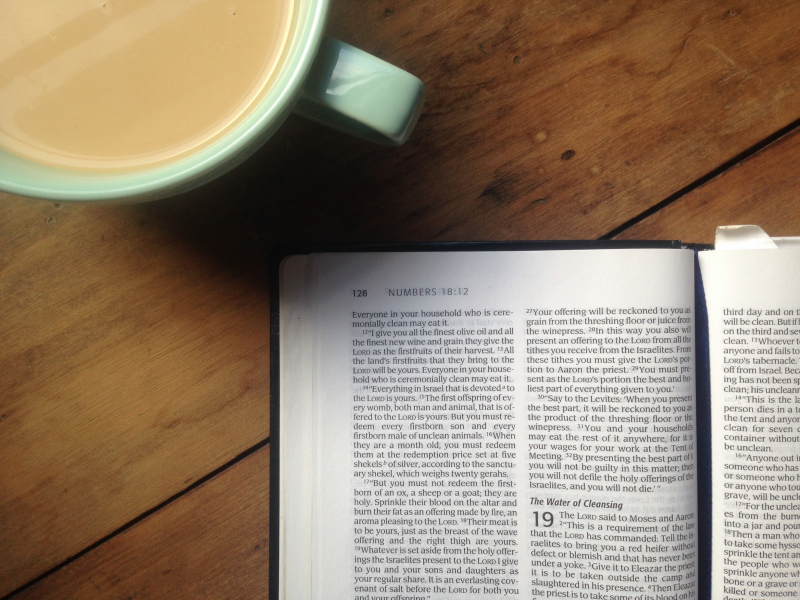 For another approach to studying the Bible, check out my friend Robyn's 7 arrows method! 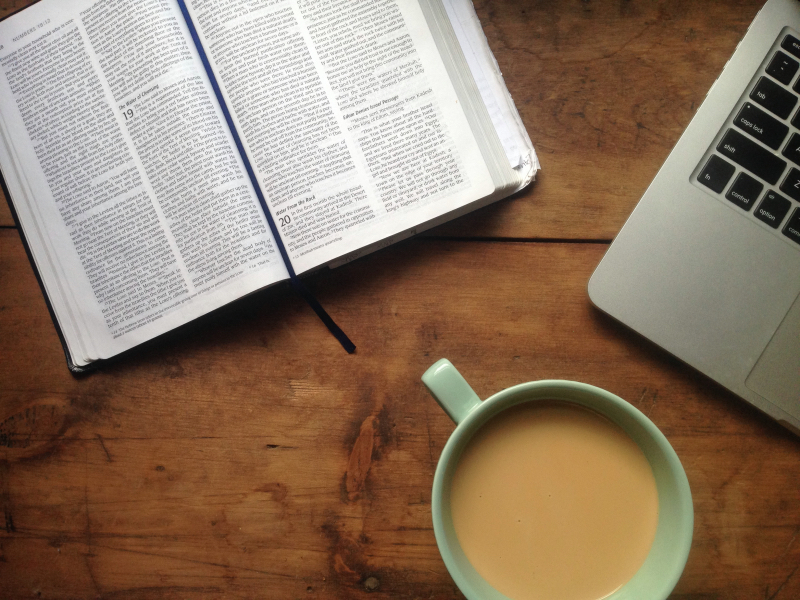 If you want to read more about my approach to reading the Bible, check out this post too.